When Chase announce the Ink Business Preferred almost a year ago I was surprised at all the features that it offered with only a $95 annual fee. For the small business that makes regular travel and shipping purchases this card can be a very powerful tool in earning points quickly for redemptions all around the world. Chase admittedly gives you a lot of value for this card and hits hard on regular business expenses to give you the most value. I’ve not seen such a feature filled card that offers this much benefit with this low of an annual fee. Chase Ultimate Reward points are highly regarded for their value and 1:1 transfer partners. For a business that operates with company provided cell phones this credit card could also be a huge asset to the company with cellphone protections. No other business credit card at this price point offers so much coverage of cell phone plans. Chase has come out to the market strong with the advantages that their cards can offer. With the strong abilities for UR points to be transferred amongst other UR carrying cards you can squeeze the extra value out of these cards with transferring the points over to a Chase Sapphire Reserve card that increases the value from 25% to 50% more value. The only drawback I see to this card is the absurdly low 150,000UR limit to 3X bonus earning. This means that you can only get the maximum value of this card if you spend $50,000 or less per year on the bonus categories. Add employee cards to your account at no additional cost. For the business that spends $50,000 or less each year on bonus categories this is the perfect credit card for you. It has a wide range of features that makes this card powerful and an asset in your wallet. The 3X categories are strong and focused in on standard business expenses. Cell phone protection is a huge plus for this card offering $600 of protection if you lose or damage your phone. 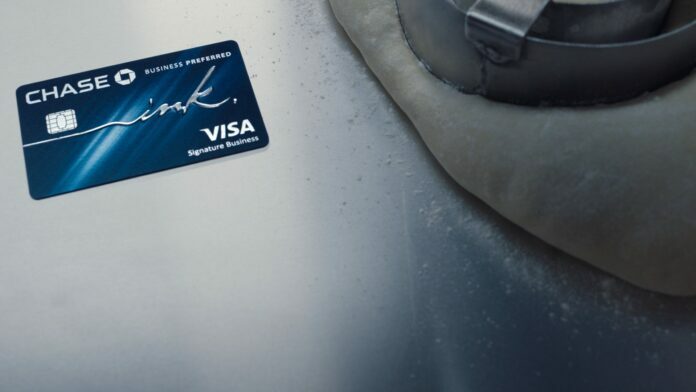 Not to mention the increased power if you transfer your points to the Chase Sapphire Reserve or airline transfer partners, this card is perfect. This whole package all for $95 a year is perfect for the small business owner. For the business that spends $50,000 or less each year on bonus categories this is the perfect credit card for you.